The Timeline Express – Single Column Add-on extends the base plugin by enabling a new shortcode parameter that can be used with any of our timelines. The new shortcode parameter is `single-column`. When set, the timeline will display in a single column format – very similar to the default mobile view for Timeline Express. This is a very simple add-on, and can be used by adding a ‘single-column’ parameter to your shortcode, and setting it to ‘1’. 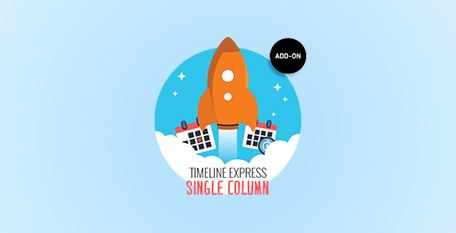 Curious how Timeline Express – Single Column Add-On works? Check out the demo we have setup.